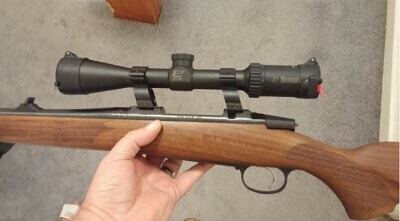 scopes are the scopes which help you estimate the distance of your target when you’re shooting a rifle. 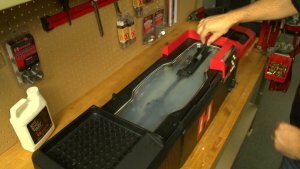 It is a useful tool to have for a hunting trip or while you’re in range shooting. You can really just use a rangefinder scope in an improper way meaning you don’t need to learn about all the ins and outs of the scope, just aim and shoot. But, using it properly is an entirely different ball game. When you know how to use a rangefinder scope properly and the specific ways with which you can significantly increase the precision of your shot, then it gets very easier to hunt effectively with a rangefinder. 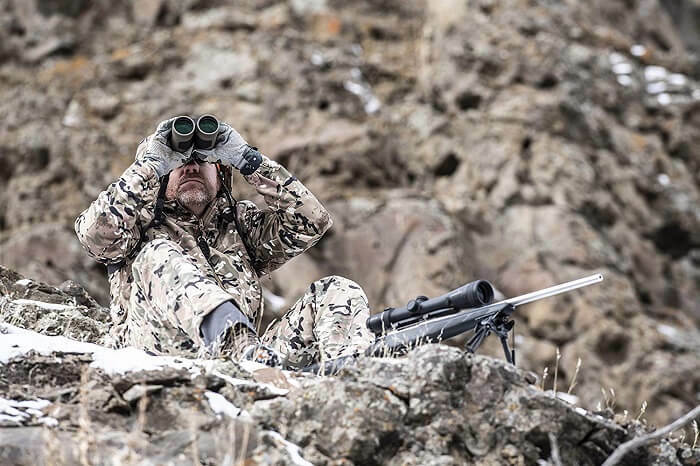 In this article we will talk about the basic equipments that build the rangefinders and then, it will be clear to you how to use the rangefinder scope properly for hunting and range shooting. The method of finding the range in a field is to estimate the range using a principle that states, “the rate at which an object appears larger or smaller depend on its distance”. This implies that a rough estimate of distance can be made with the size for an object on the field. To understand how to use a rangefinder scope, you need to understand the basics components of a rangefinder first and once you are clear about those, you will be clear about the whole process. Lenses are the most important components of a riflescope. There are 3 kinds of lenses; objective, erector and ocular. The position of a lens is in a tube away from the user. This main lens allows the light to what is known as the erector lens. The image is flipped here and is sent to the magnifying lens. Obviously, the magnifying lens magnifies the image. This is where the actual image is formed and it travels to the ocular lens near the user’s eyes. The objective lens is housed by the objective bell, the erector, and magnifying lenses. The ocular lens is present in the eyepiece of the scope. Magnification indicates the largeness of a field that appears from the scope as compared to the eyes. Some Scopes come with fixed power i.e, the magnification of the scope isn’t adjustable. 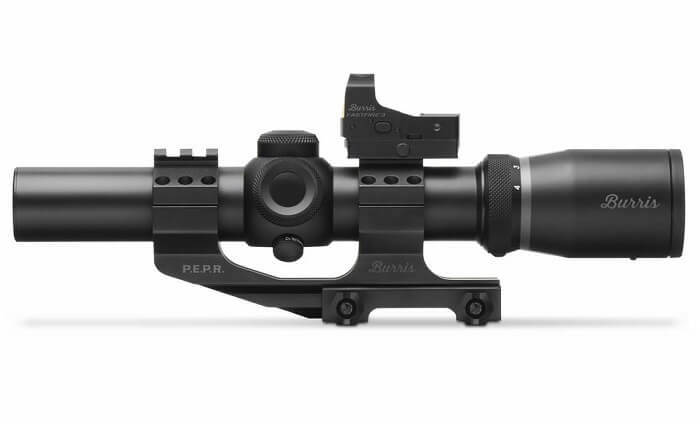 For instance, a fixed 4×50 power indicates a rifle scope having a field of view 4 times of a normal set of eyes and it houses a 40 mm objective lens. The power can be variable as well. Variable powers are designated by a hyphen as in 4-8×50 which indicates a scope with magnification that ranges from 4 to 8 and a 50 mm objective lens. The price of a rangefinder generally depends on the magnification power of the scope. The reticles come in a crosshair pattern is wired to a glass plate. There are many kinds of reticles available like a duplex, crosshair, mil-dot, SPRs, BDC etc. 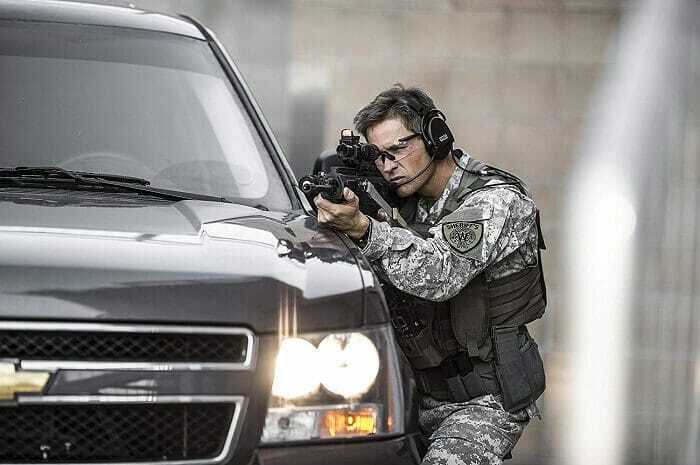 These have their own set of features that support different types of ammunition. The reticle of scope can be placed in front of the back of the magnifying lens. For a scope with variable power, size of crosshair changes while zooming so, the reticle is placed at the front. This will keep the target and object in the scope the same despite the level of magnification. When the reticle is present at the back of the magnifying lens, the crosshair won’t magnify with the object as the magnification is changed. BDC stands for Bullet Drop Compensator. It is the most common reticle in a rangefinding scope so, we’re going to focus on this. It is preferred by many people as well. Normally, a BDC reticle is set up with a certain number of horizontal hash marks present on verticle lines, as opposed to just simple cross-hairs. These marks tell you about different distance. When you zero in the scope, you can adjust the landing position of your bullets by increasing to the proper hash mark at the desired distance. On the other hand, they also compensate for wind at certain distances. You need to calculate the distance and it depends on the scope’s power. 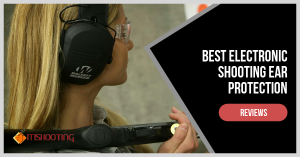 Most BDC reticles are tested at a certain condition with certain ammunition. Most of them can scope at a 300-yard range. A rangefinding scope can take quite a bit of learning. There are some basic calculations involved too. Here we’re going to see these in detail. The formula to calculate the distance is WERM, i.e. Width = Range x (MOA or Mil). The MOA constant is 100 whereas the MIL constant is 27.8. If you have a deer chest of 20 inches that takes 4 mil dots on reticle then Width = (20/4 x 27.8) yards is the distance. Knowing this distance, you can aim in the correct way and get a more accurate shot at your target. For even more precision, there are windage charts too. These charts determine your wind if you don’t have a device to read the wind. You should also remember how mirage is related to wind speed. You should be able to judge the wind’s direction as well as the direction of the travel. See the ease of installation. Although a rangefinder may tick all boxes, installation can be a deal breaker. Some rangefinder scopes are harder to mount than others. Be careful of this. The price of the item plays probably the greatest role in determining the purchase. You should get the one which first, fits your budget and second, has all the things that you require. Another thing to consider is that you shouldn’t fall for a scope which looks good. Get the one which has the best build quality and materials. Do check for any warranty that you might get. Beware of the false distance claims. If a manufacturer has labeled a rangefinder as 1500 yard, chances are it exhibits that property only under good conditions. As with everything, rangefinder scopes also have their share of pros as well as cons. The pros are quite obvious, you can estimate distance which is really hard. Rangefinder scopes can also compensate for bullet drop or wind. There are quite a few cons as well. To estimate bullet drop, you need exact data on condition, magnification, load, barrel and even the ammunition. You need to know your guns properly. Also, the calculation itself can be tiresome. Something as trivial as changing the magnification slightly can also cause a total miss. To conclude, rangefinder scopes are a must have item if you want to aim correctly. There are a lot of rangefinders available in the market and they all come with their own set of features. 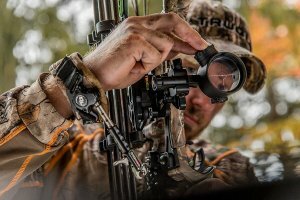 You need to follow some important tips to find the right rangefinding scopes. These scopes are fairly easier to use but they do require quite a bit of calculation for more precision. The calculation is pretty simple, however. The one con is that even with a slight change in magnification, the calculations have to be redone. This can be very much of a pain. Despite all this, a rangefinder scope will do the work it’s intended to do without much hassle. The rangefinders come at a wide variety of price ranges with many features to choose from. You can definitely give them a shot and you don’t have to think twice about it.